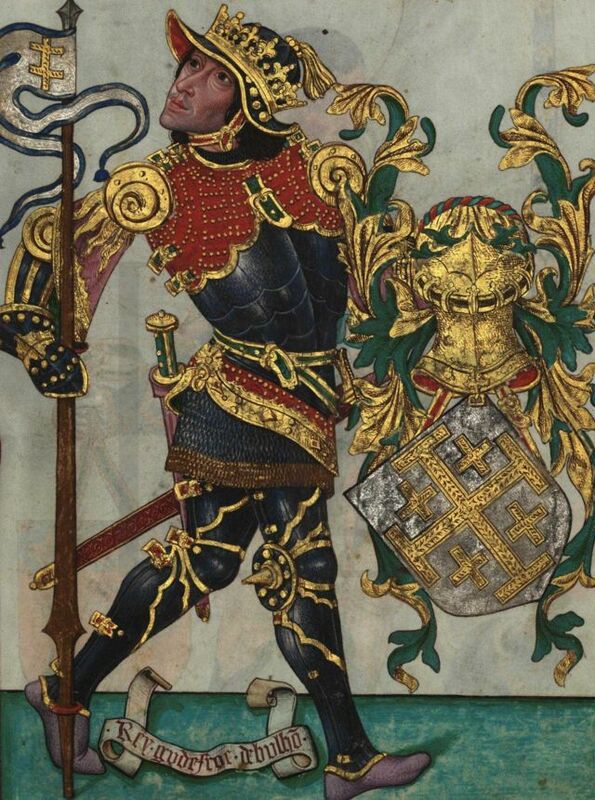 I've been seeing some illustrations from Livro do Armeiro-Mor (1506) and I noticed a kind of standardization when an artist of 1480-1510s wants to represent a king or hero: is very common that it represents the said warrior in a kind of armor whose chest's armor is brigandine with a plackart over it. My questions are: When this type of armor began to appear? Why it keeps this trait to be something much more elitist than an armor for lower nobility? I read that in the War of the Roses, certain noblemen covered their brigandines with pounds and pounds of pure silk; knowing that such armor would be a way of expensive, they were simply brigandines of a set of brigs+plackart? This armour is more efficient than "white" harness?